Here’s a list of confirmed exhibitions that I’ll be taking part in this year. I’ll be adding to it as the year progresses, so do look back here for updates. 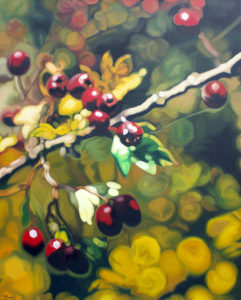 Ongoing – Mansfield Park Gallery, Hyndland Road, Glasgow. Dates TBC – Summer Exhibition, Annan Gallery, Woodlands Road, Glasgow. 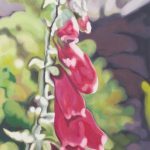 8-9 June – Lemond Gallery Summer Show, Bearsden. 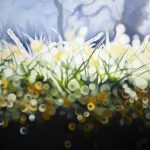 14-16 June – Lemond Gallery Summer Show, Edinburgh. 7-15 September – Perthshire Open Studios. Dates TBC – Winter Exhibition, Annan Gallery, Woodlands Road, Glasgow. Look out for my work in and around Glasgow and Edinburgh this November, as I’ll be exhibiting again at the Annan Gallery, Mansfield Park Gallery and Lemond Gallery. Saturday 17th November and Sunday 18th November 2018, from 11.00am to 5.00pm daily. Friday 23rd November to Sunday 25th November 2018, from 11.00am to 5.00pm daily. Mansfield Park Gallery – ongoing. Visual Arts Scotland are running a members’ show, entitled ‘Current’, at Tatha Gallery in Newport-on-Tay, and I was really pleased to have one of my new, large paintings selected for the exhibition. The exhibition promises to be an exciting and eclectic mix of artworks, from a diverse pool of artists working in Scotland. The exhibition is on now, and continues until 22nd September 2018. 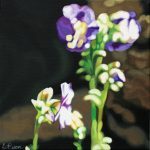 The year so far has brought a few exhibitions, some larger scale work, and more time outdoors in the beautiful weather. I won’t be taking part in Perthshire Open Studios this year, rather I’ll be enjoying more time in the studio, making larger scale work again for the remainder of the year. Annan Gallery, Mansfield Park Gallery and Lemond Gallery, all in Glasgow, have been showing my work these past few months, and I had some pieces in the arTay marquee again in May, part of Perth Festival of the Arts. Look out for my work later in the year, in Glasgow again! 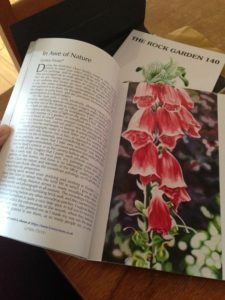 This month, the Scottish Rock Garden Club published an article about my work in their latest edition of The Rock Garden, an international subscription journal that is published twice a year. 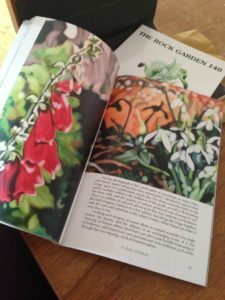 The article came about as a result of meeting the magazine editor during Perthshire Open Studios, where he was impressed by my paintings of snowdrops and foxgloves; images of which appear alongside the article. Being more than a little sheepish about my writing skills, writing the article was somewhat challenging, especially given that the audience is very knowledgable about the subject matter! However, hopefully, it will provide an alternative perspective about these particular species, which the readers will find interesting. 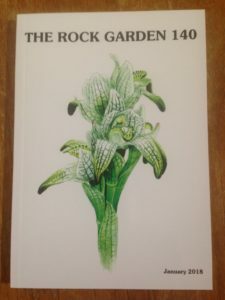 It was a huge privilege to be able to write for The Rock Garden! June is becoming a busy month for my work this year. 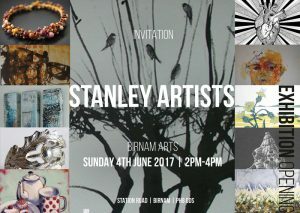 This coming Sunday, from 2-4pm, we have the opening of our Stanley Artists‘ exhibition at Birnam Arts – all are welcome, there will be home baking and wine! We’re all really excited about exhibiting together, outside of our annual Open Studios event (that’s still happening in September too though). The exhibition runs until 31st July. Also this weekend is the annual Summer Show at the Lemond Gallery in Bearsden, and I am thrilled to have eight pieces on show with them for the first time. There will be around 500 artworks available for sale over just two days, so it’s a lot like an art fair in a way. In addition, they will be taking my work to Edinburgh the following weekend. More information on their website. 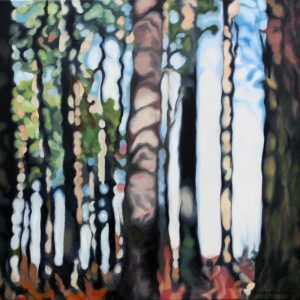 Finally, for June anyway, I will be putting a few pieces into the Dunkeld Art Exhibition. The exhibition runs from 22nd June over most of the Summer, and hosts at least a couple of hundred artists. It’s a very popular event, not least with all the tourists visiting the area, and profits from the exhibition help fund the upkeep of Dunkeld Cathedral. I’m delighted to have been invited to take part in arTay again this year, part of Perth Festival of the Arts, which is run by Hugh Goring and his team at Frames Gallery of Perth. The arTay marquee will be open to the public from the 18th to 21st May, and promises to showcase some of the best in Scottish visual art. Last year around 300 artworks were exhibited for sale, from a large variety of artists at all stages in their careers. Entry is free, and well worth a visit. The marquee will be located next to Perth Concert Hall. See www.perthfestival.co.uk/event/artay-18-21-may-2017/ for further details. Currently, I’m preparing for a few exhibitions that begin in the coming months, these include a group show with Strathearn Gallery, running from 11th February to 12th March, and I am delighted to be exhibiting there again. I will also be exhibiting with Perthshire Visual Arts Forum, as part of a members’ show, at the Royal Scottish Geographical Society, Fair Maid’s House, Perth. This exhibition forms a part of the Platform event, run by Perthshire Creates, during the last week of March. Perthshire Open Studios will also be holding their 10th Anniversary Exhibition, at the newly refurbished Civic Hall in the PKC headquarters at 2 High Street. This exhibition also forms part of the Platform event, run by Perthshire Creates. I’m delighted to have been invited to take part in arTay again this year, part of Perth Festival of the Arts. The arTay marquee will be open to the public from the 18th to 21st May, and promises to showcase some of the best in Scottish visual art. Last year around 300 artworks were exhibited for sale. Entry is free, and well worth a visit. The marquee is located next to Perth Concert Hall. See www.perthfestival.co.uk/event/artay-18-21-may-2017/ for further details. Into the summer, our Stanley Artists group, previously focused solely on Perthshire Open Studios, will be exhibiting together at Birnam Arts from 4th June. We will, of course, be taking part in Perthshire Open Studios again this year, and more will follow about dates, times and the venue in the coming months. Any artist, or maker of anything, will likely tell you how difficult it is to stay motivated in their practice. Working predominantly on my own, as many artists do, means self motivation is key to my success, or achieving my goals. Knowing my weaknesses, excuses, distractions etc is the first step to finding strategies to work around them. For instance, having my studio at home means the housework is within sight. Now, I’m not so interested in housework, it’s not exactly my favourite pastime, but when I have work to be getting on with in the studio, suddenly that housework is the most important thing in the world, and requires to be attended to right away. Over many years, I’ve developed various strategies to bring my focus back to my work though, such as using music to help relax my mind, having some inner chat (yes, I talk to myself! ), or compromising with my inner domestic goddess, and allowing her to put on one load of washing while I get back to the studio. It might sound like madness, but it works for me! Most of the time anyway. Now, for those of you who don’t understand what I’m on about, and perhaps are wondering why I persevere with being an artist at all, I do reap the benefits of making art when I get to the point of making it. Stood at the easel with brush in hand, and totally immersed in what I love, it really is the best feeling. I can liken it to meditation, the state of serenity or bliss when the mind slows down and you can let go of your thoughts just a little bit more than normal. Again though, getting to that meditative state takes a lot of energy, commitment and it’s quite hard work actually. Yes, making artwork takes a lot of hard work, patience, perseverance and frankly it can be a really painful process. It takes a lot of time, and can be a daily struggle! Knowing how it makes me feel though; the releasing of tension, sense of completeness (however fleeting), happiness and the sort of expression that is beyond what I could convey in words – it makes it all so worthwhile. In any case, it’s not as if I decided this as a career path, it is simply what I am compelled to do. So, if I could give the world any small piece of advice, it would be to find some practice or activity where you can express yourself more fully. That could mean anything, from painting to skydiving, but to find that one thing that makes your heart sing will bring harmony into your very core. It will help you to feel more alive, as my practice does for me. But do be prepared to work to achieve this bliss. I’ve added a new page to the website, to highlight a topic that I feel very strongly about, and take seriously when making choices in my life in general – Being Eco-friendly.